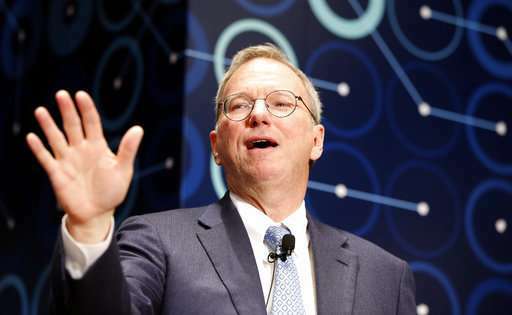 The university announced Monday that Eric Schmidt will become an innovation fellow starting in the spring. It's a yearlong fellowship that will involve working with scholars and advising the new MIT Intelligence Quest. The new research initiative is pursuing discoveries in both artificial and human intelligence. Schmidt was Google's CEO from 2001 to 2011, a time of rapid growth for the Mountain View, California-based technology company. He later became executive chairman for Google and in 2015 for its new parent company, Alphabet. He resigned as Alphabet's chairman last month but remains a board member and technical adviser to the company.